Down Under Wargames - Miniature battles in the Southern Land: Modelling hiatus, but the nations keep building! Modelling hiatus, but the nations keep building! As for thoughts, I have been thinking (as usual, a terrible idea and highly overrated ;) ) about the WHERE exactly I want my imagi-nations to be based. I was having a bit of a struggle with my initial setup - the names just didn't seem to click with what I wanted to represent and I really didn't see a place that could 'correllate' without having to do something like dredge up the continent of Zealandia (yes, it's a real thing, New Zealand is actually made up of the mountain tops of said submerged continental plate!) and go from there. Then I remembered - I have the perfect solution to this all along! I served with our military here in Australia for quite a few years, and throughout that time, we did exercises and training against imaginary armies from imaginary nations. So instead, using some of these as a background, I decided to remake Australia. So now, I have a whole bunch of different ideas for my nations. As none of these are real, they pretty much used a random mish-mash of whatever the instructor needed them to use to get training outcomes... and as they do not use real world land regions, I can pretty much make up whatever I want with them. Winner! In the end I've decided to keep it mostly to Australia. The reason being is quite simple. It's my country, so I'll break it if I want to :P but more importantly Australia is actually MASSIVE. You can literally fit all of the European nations into our landmass with room for probably another whole copy of all of those nations for good measure. A (badly modified by myself! 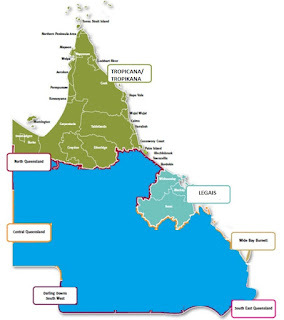 :) ) map of Queensland. Tropicana and Legais are both on this map. 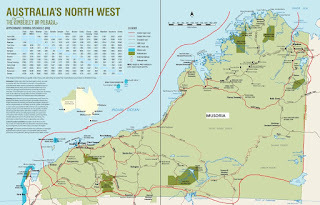 The country of Legais is basically the real world territory of the "Mackay, Isaac and Whitsunday" region in Queensland - the backstory being that French from New Caledonia and Vanuatu 'brought out' the region from the local populace and under the feet of the British before the Crimean War. Legais will be a nation in absolute turmoil - most of it being stirred up by the Kamarians and their Musorian 'masters'. Tropicana (also called Tropikana, more to follow) has a Germanic background based around the German colonial empire expanding through New Guinea and into the top end. Following World War One, rather than become an Australian holding, Tropicana instead opted to become its own nation. It will be on cool terms with Legais due to WW2 history, with conflict only limited by the fact that Australian territory is between them. Tropikana will be the equivalent of real world Poland post-communism, never entirely enthralled with being in 'the wrong camp' after WW2, but now starting to find its way. 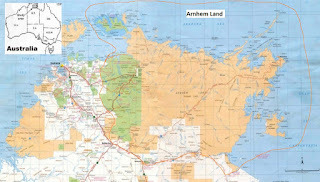 The Arnhem Land, in my Australia it is its own country. 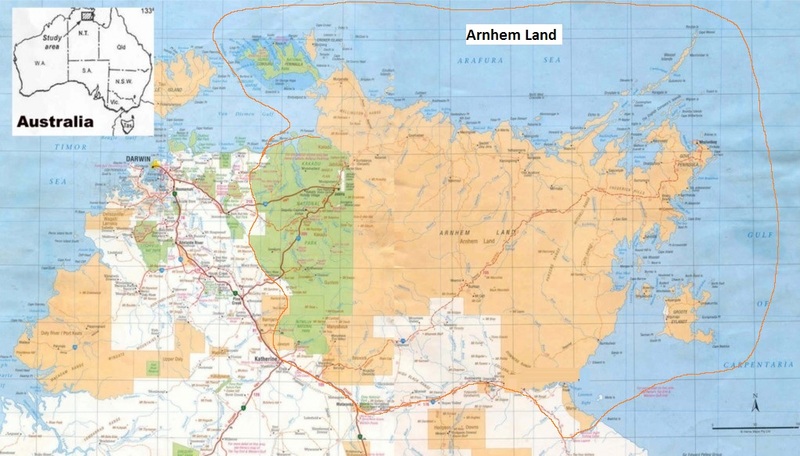 In the next case, I found the real world name and location of a region actually fitted in quite nicely with what I wanted - and so we now have the indigenous people's lands known as 'Arnhem Land' in the Northern Territory becoming a nation of its own accord. In this case, I have made some modifications to the southern end where the 'border' will follow one of the real world highways up until a certain point. They aren't shown in the map I have, but it gives you an idea of the kind of size I'll be looking at. This land will be a place that is currently undergoing its own equivalent of the Rhodesian Bush Wars/ anti-apartheid conflict. Kamaria will be the part of the Musorian-Kamarian alliance actively trying to rebuild the old 'Capricornian Bloc' - I tend to think of it kind of like Cuba back in the 60's, 70's and 80's and how it got stuck into Africa and the Carribean trying to ignite the spark for revolution to make a Carribean power bloc. 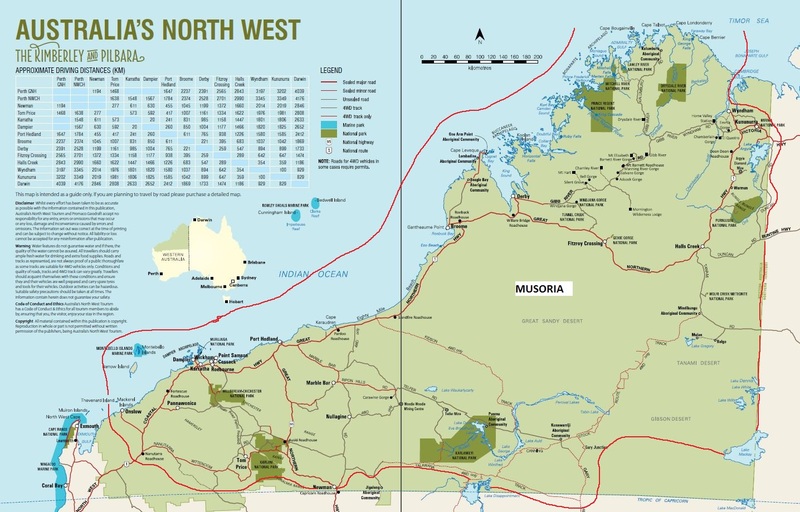 Finally there is Musoria, which calls it's part of Australia "New Holland" and wants to 'retake' the lands 'stolen' from their New Holland heritage - essentially the 'big bad' for my forces. 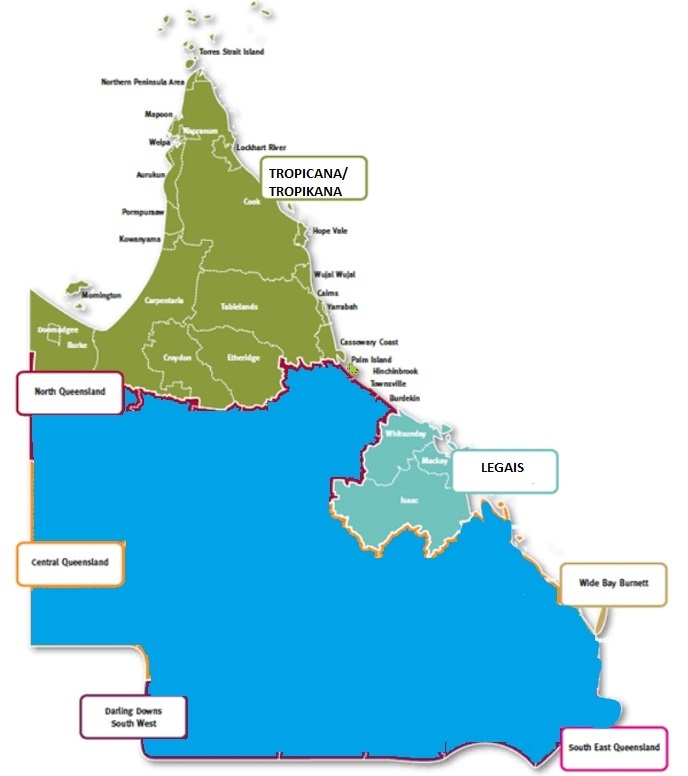 Musorian territory will consist of the Kimberley and Pilbara regions in Western Australia. Musoria will take on a role of 'major regional player, international small fish in a pond of big fish' - kind of like East Germany back in the day - enough clout to forge its own path, but still working to other's drums as well. I'll expand more into these different areas as I collect the models and fill their back stories. I already have most of Legais' backstory and army ideas thought out - so I'll be sure to post that soon!